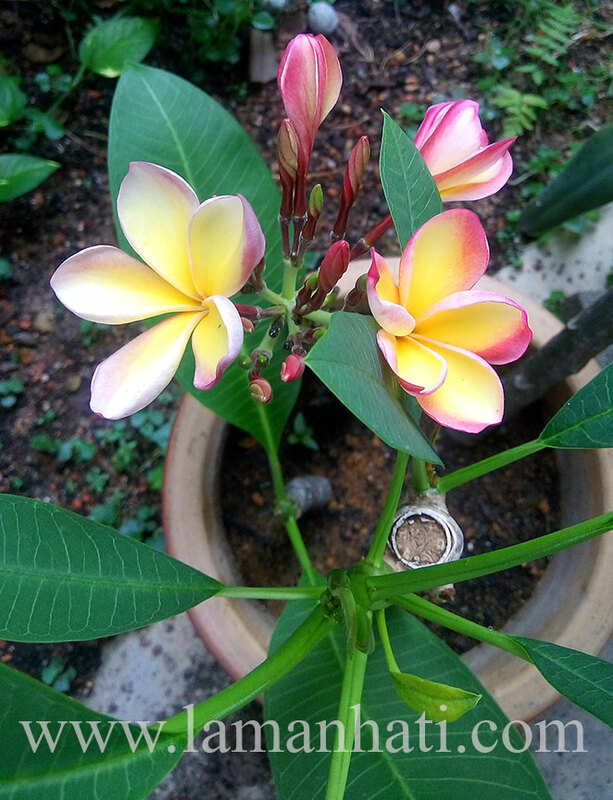 This is the first time I tried to plant plumeria after a friend gave me a few cuttings from different varieties. So far only one type has bloomed. After searching online, I found a similar picture from mauiplumeriagardens.com. Flowers are yellow with a deep red band on front and back. The petals are wide with rounded tips that overlap. 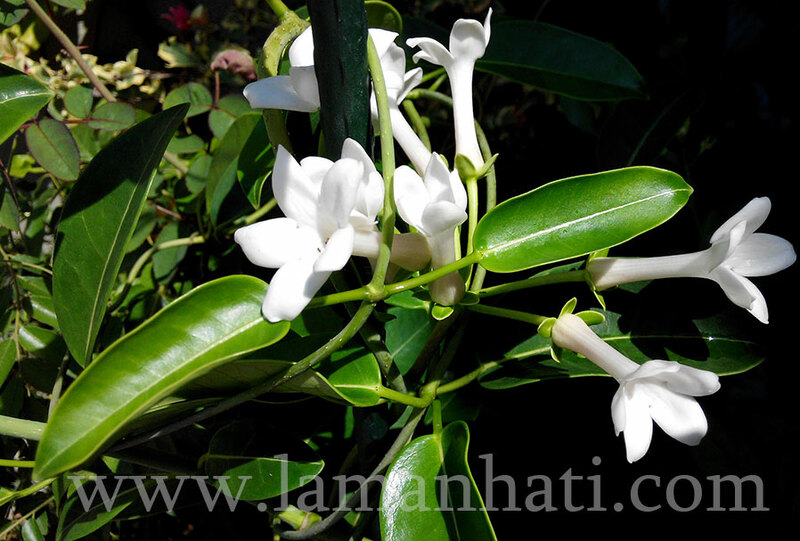 Nebel’s Rainbow has a mild to heavy sweet scent depending on the time of year. 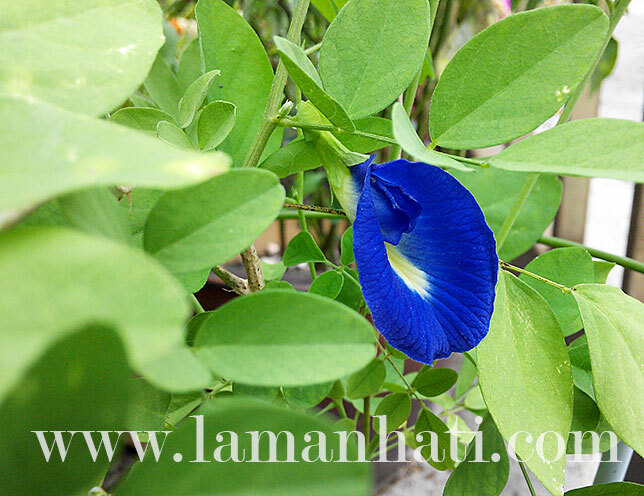 The flowers have excellent keeping quality which makes this variety a favorite among lei makers. Flower production is heavy on strong branches. I hope the rest of the cuttings that I have planted will bloom soon so that I can differentiate each plant. 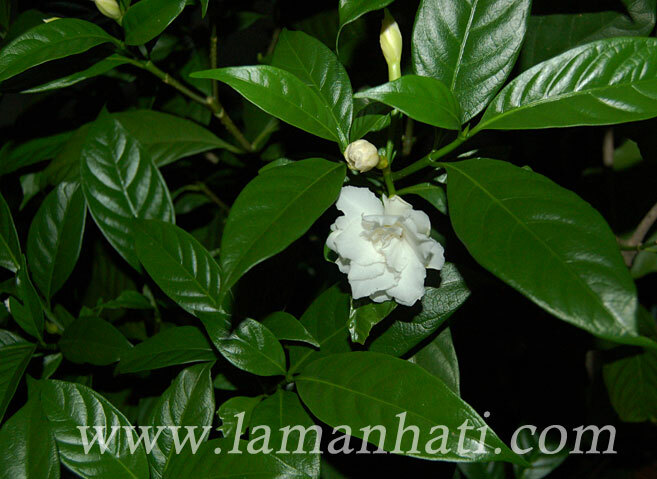 After a brief research I realized that this is Pereskia bleo instead of my previous post as Pereskia sacharosa. Reason being, this has bright orange flower while sacharosa is supposed to have pink flowers. 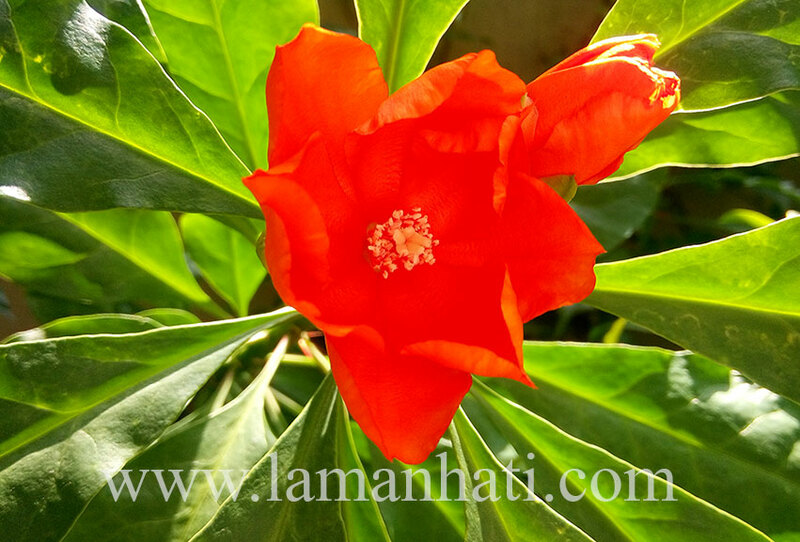 Pereskia is a genus of about 16 species of primitive cacti originating from Mexico to Brazil. Very primitive cactus, they have leaves and are generally not considered succulent. 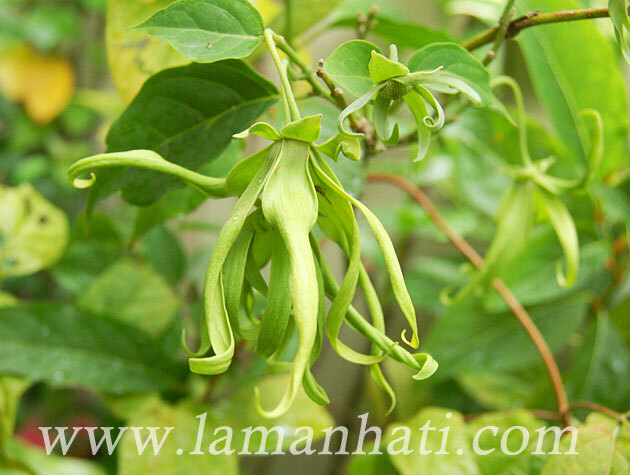 They are deciduous shrubs, small trees, or even climbers. They are named after Nicolas Fabre de Peiresc a French botanist of the 16th century. Some very interesting findings was found on an article published online for Pharmacognosy magazine: Acute oral toxicity of Pereskia bleo and Pereskia grandifolia in mice. 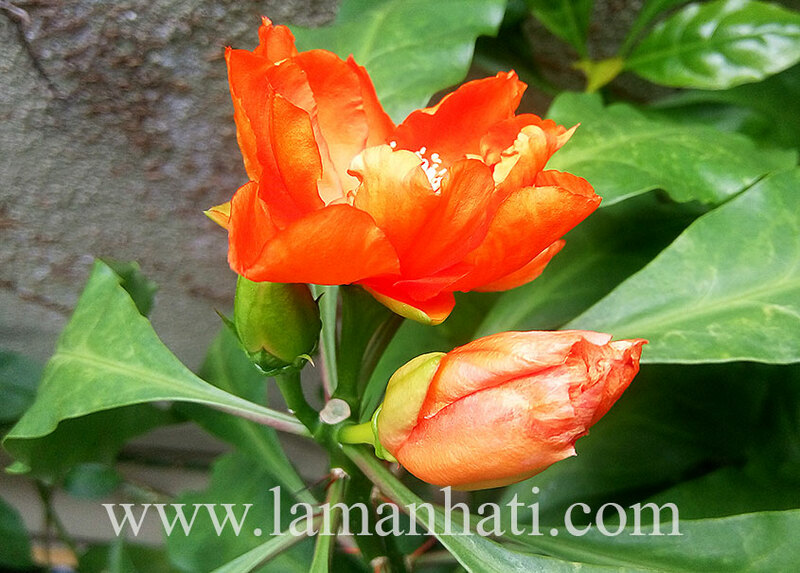 Pereskia bleo and Pereskia grandifolia, commonly known as ‘Jarum Tujuh Bilah’ in Malaysia belong to the botanical family Cactaceae. 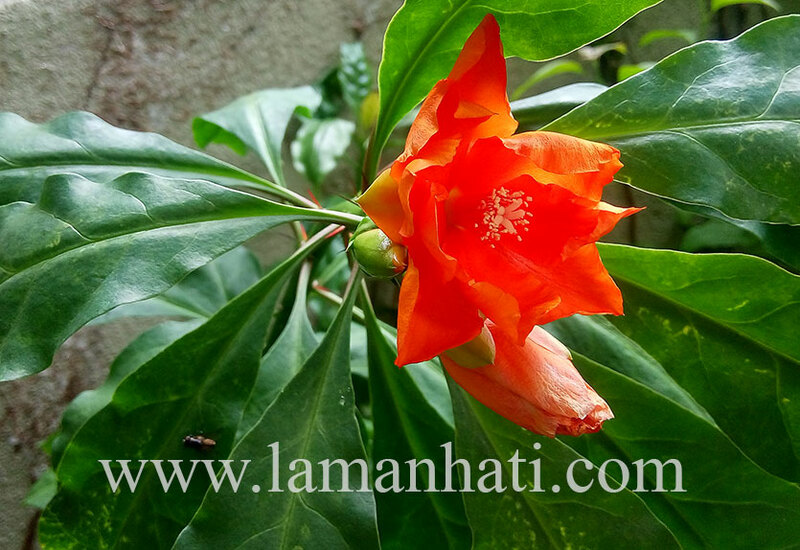 Pereskia bleo can be easily confused with Pereskia grandifolia because they are vegetatively similar. However, they can be easily distinguished by the leaves, flowers, and spines. Pereskia bleo has thinner, corrugated leaves, and orangish-red flowers, with shorter spines compared to Pereskia grandifolia. In contrast, Pereskia grandifolia has thicker, uncorrugated leaves, and pink to purplish-pink flowers, with longer and lesser spines. 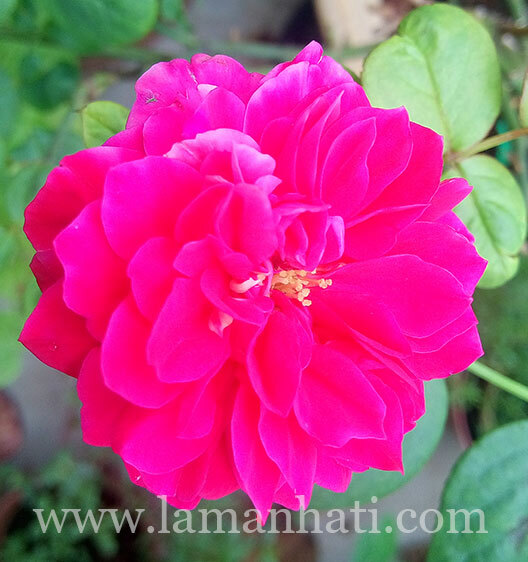 If you are planning to plant dark red rose bush with a heavy fragrance, then I would suggest this Rouge Royale. The deep burgundy red buds open to reveal perfectly quartered bright raspberry red, old-fashioned blooms. 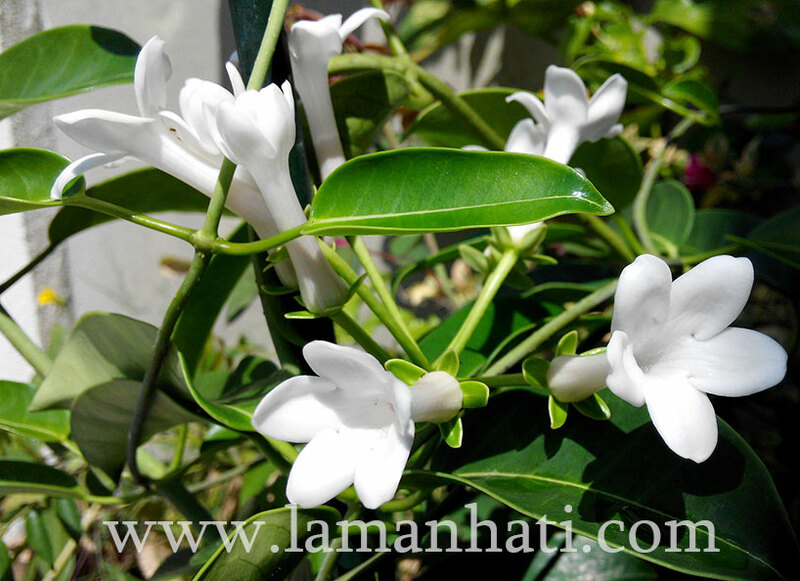 These sturdy blooms hold up well in rain and heat and have a sweet fragrance of citrus and fresh ripe berries. Rouge Royale is the winner of the Fragrance Award at the Rose Hills International Rose Trials in 2003. 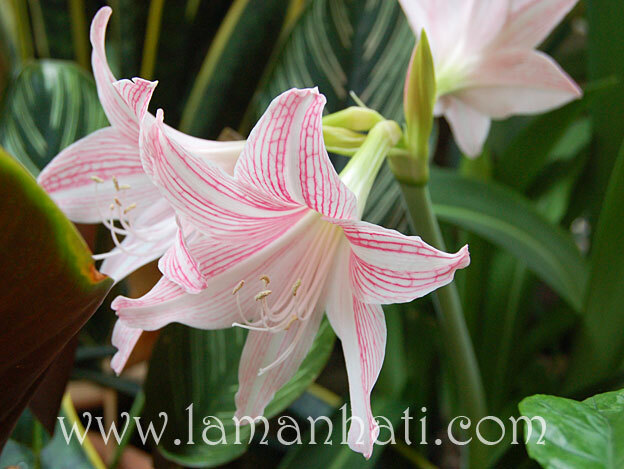 The plants can grow up to 4 feet tall and present flowers on long stems suitable for cutting. 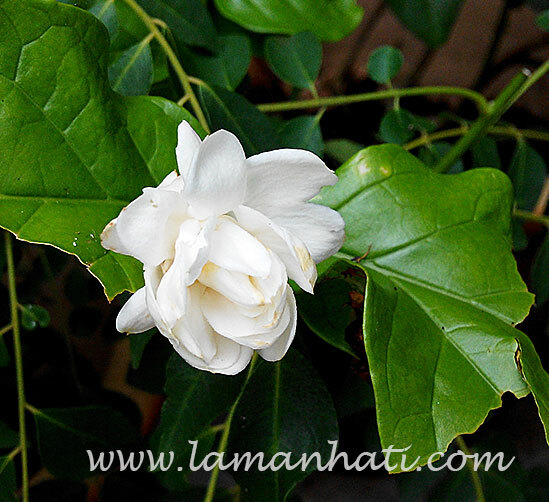 The flowers have up to 80 petals with a strong, berry and citrus fragrance. It is supposed to have a good disease resistance but mine does get blackspot every now and then especially when it is rainy season. 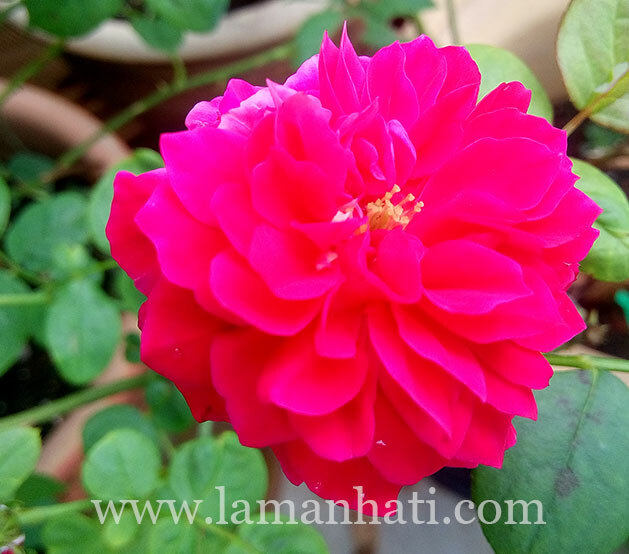 There are many advice among rose planters to treat this rose as cut flower since it lasts better in a vase, rather than in water and scorching sun. Next time my Rouge Royale blooms I am going to cut it and put it in a vase before it opens. 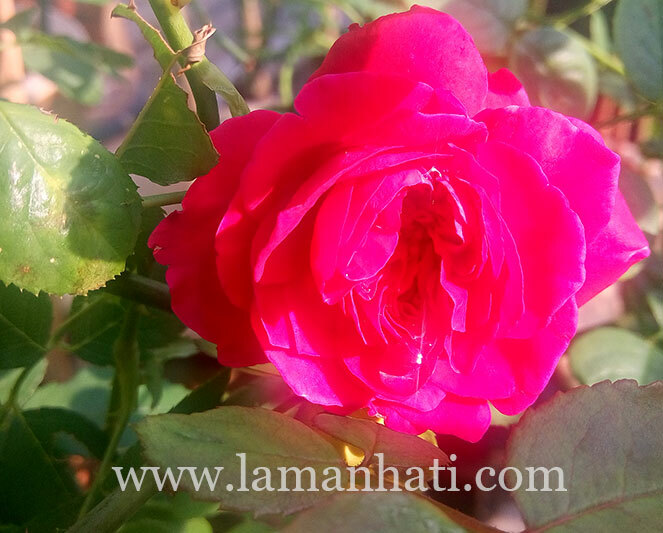 If you are looking for roses that are fragrant, have bright beautiful color, then Double Delight is a good choice to start with. 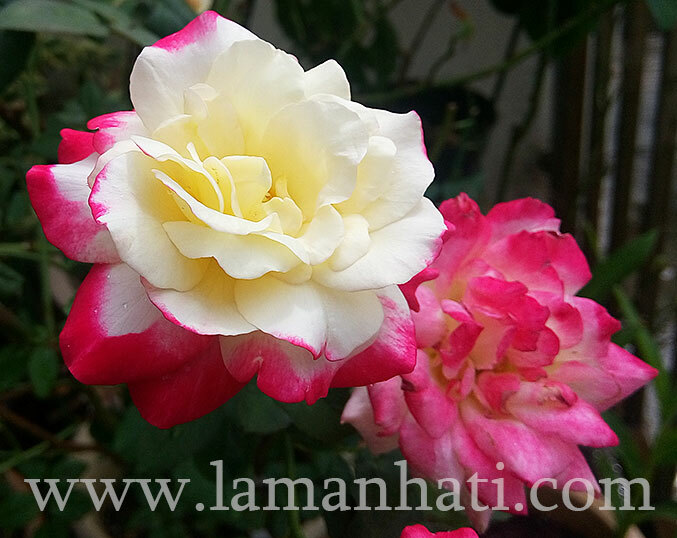 It is a hybrid tea rose, with an outstanding bicolor, combining creamy white with strawberry red. 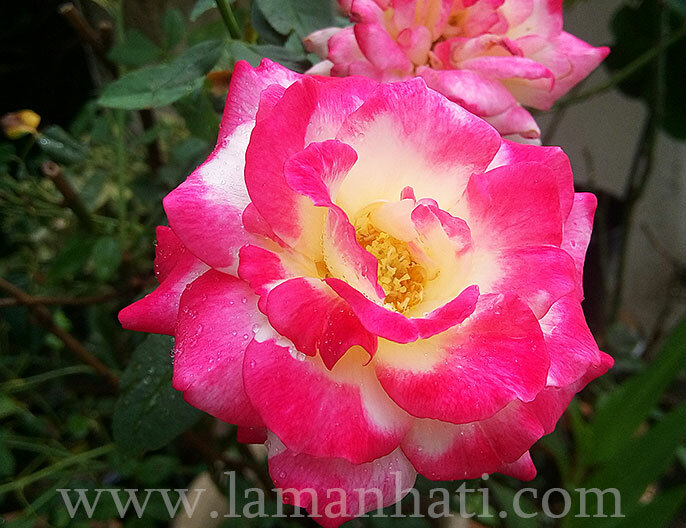 Its parents were two hybrid tea cultivars – the red and yellow ‘Granada’ and the ivory ‘Garden Party’. Double Delight is bred by Swim & Ellis and introduced in 1977. 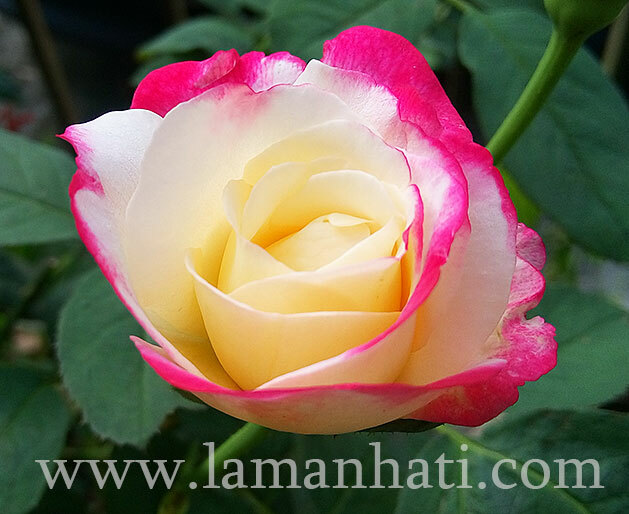 This rose won All America Rose Selections Award, which is the highest honor a rose can achieve in America. In fact, it is the most complete and thorough testing program in the world. 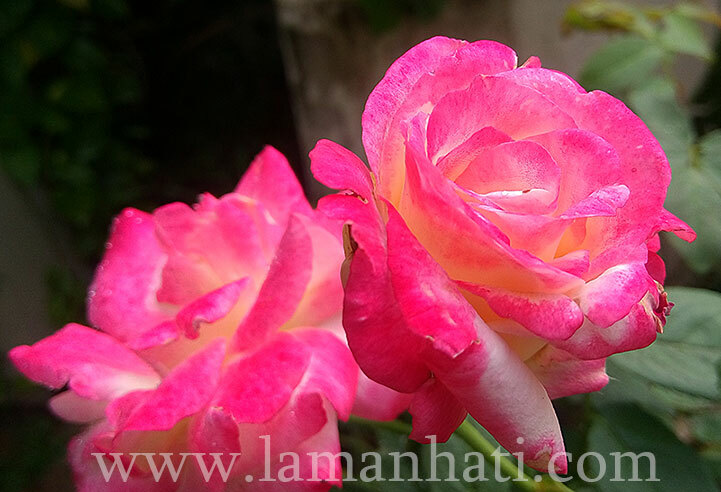 I would strongly suggest this rose for beginners because it is quite easy to care for. It is a shrub type but can grow up to 5 feet tall. What I love the most about Double Delight is its phototropic characteristics, which can be seen when it turned red in the sun. 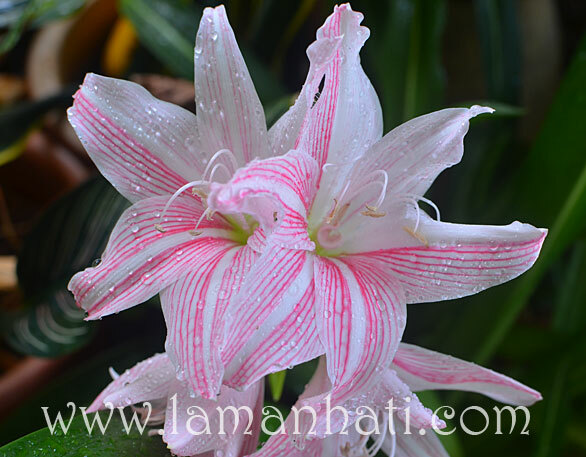 The big bloom starts with a nicely formed cream color with strawberry markings on the outer ring of petals as they unfold, then after a few days in the sun the whole petals will turn dark pink. 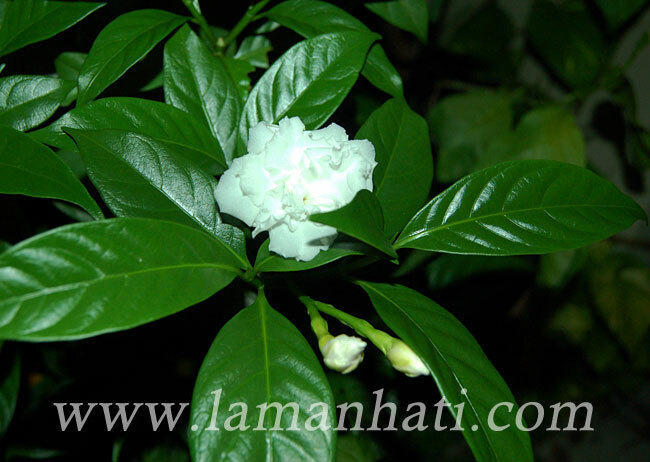 The fragrance is really strong, fruity and sometimes spicy. However like most rose plants, its green matte foliage is susceptible to black spot and mildew. 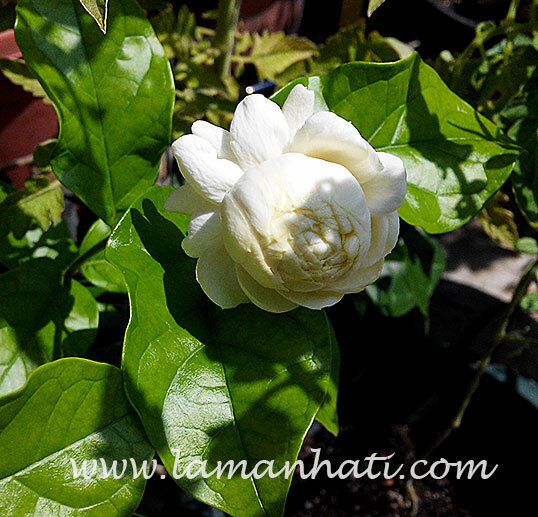 When I bought this flowering plant at Floria many years ago, the seller told me that the Malay name is bunga susun kelapa. That time my main intention is to have as many scented tropical plants in my garden like kesidang, kemuning and bunga cina. Over the years, the plant has been growing well, budding a lot but failed to bloom. Recently after I have moved it to a different spot in my limited yard, I noticed the buds start to bloom. 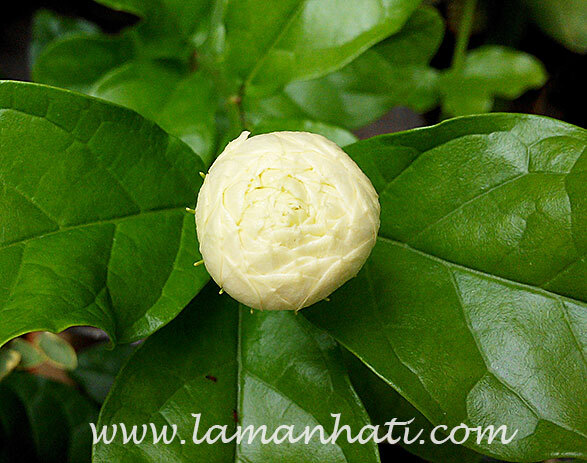 The scientific name for bunga susun kelapa is Ervatamia coronaria. 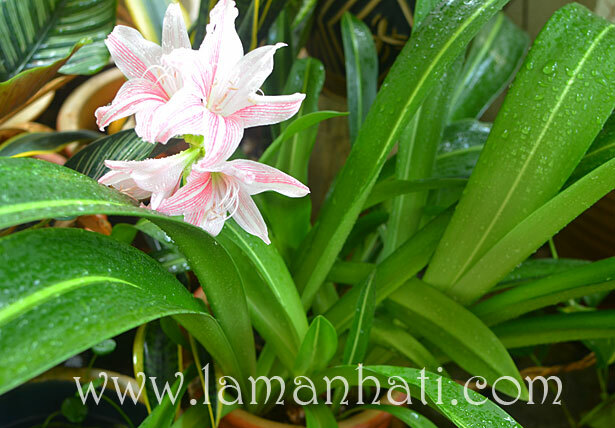 It is known as East Indian Rosebay, one of Indian herbs. 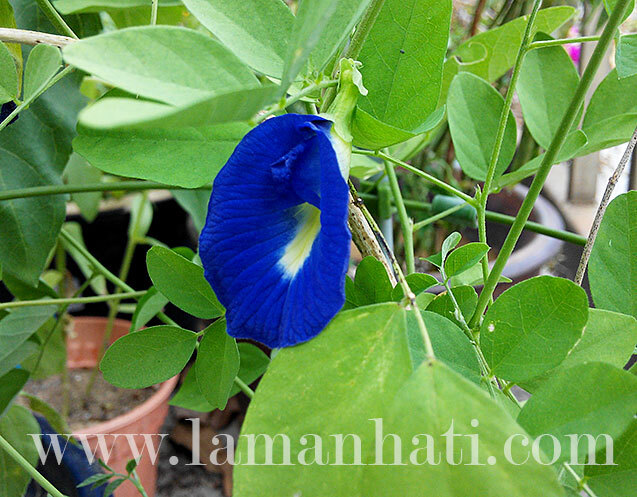 Check more info here: East Indian Bay, Indian Herbs. 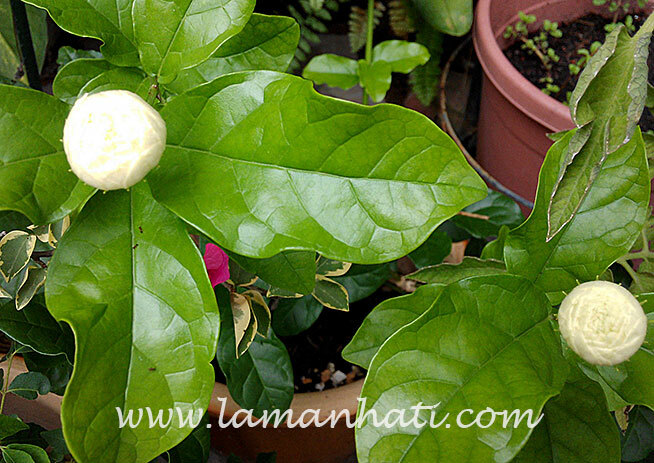 I think I will try to propagate it by cuttings soon just in case it decides to die on me like my gardenia plant.